In the United Kingdom, the Regency is a sub-period of the Georgian era (1714-1830) and runs from 1811 to 1820. It is named after the Prince of Wales who, as Prince Regent, took over rule from his ill father, George III, during this time. In 1820, the Prince Regent became George IV on the death of his father. The term “Regency”, however, has come to represent a wider period of time than these nine years, especially when it comes to design and culture. 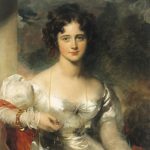 For purpose of this article, we consider the Regency era to be from 1800 to 1837, and look at the popular cosmetics used by western women during this period. 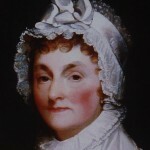 The French Revolution (1789-1799) had the biggest impact on the wearing of makeup. It swept away its widespread and extravagant use, as it was associated with the decadent aristocracy. The heavy white paint, beauty patches, veining and overly made-up faces of the vulgar rich fell out of fashion, to be replaced by a desire to look more natural. Rouge survived the Revolution and continued to be worn, albeit with a more delicate approach. Numerous adverts for skincare products and remedies to cure all ills could be found in the newspapers, ladies’ magazines and society journals so popular during the period. Many had extravagant claims as to their effectiveness – any complaint of the face or skin could be cured, it seemed, by their miraculous powers and efficiency. Rouge, lip salves and face powders were also advertised, again with a poetic description outlining the virtues of using that particular product and brand over other products on the market. As shopping was a favourite pastime for a middle-class woman with time to spare and spending power, there was money to be made – so makers made persuasive claims to seduce their quarry. Magazines featured a wealth of articles on a wide variety of topics, including fashion, beauty and etiquette. Magazines were mainly purchased by the middle and upper classes, due to the high cover prices or subscription rates. Issues were valued enough to be collected and bound in volumes, being kept for years. Favoured individual pages, like fashion prints, were put into a scrapbook. The most popular magazines during the Regency period in terms of being the biggest sellers, were The Lady’s Magazine, Lady’s Monthly Museum, La Belle Assemblée (1806-1832) and Ackermann’s Repository (1809-1829). 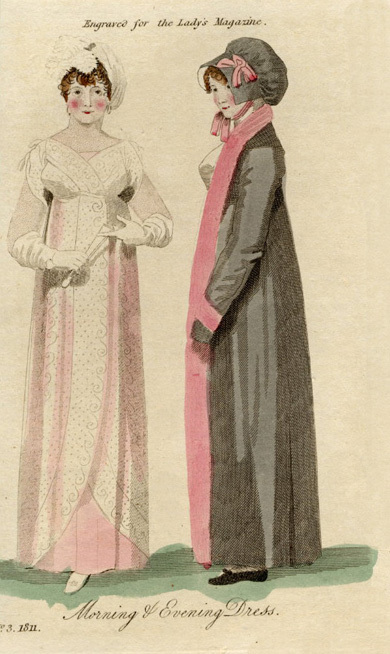 The Gallery of Fashion (1794-1803) was very expensive to buy, enjoyed by Queen Charlotte, and solely dedicated to fashion. Keeping on top of the latest trends and products was important for those who could afford it. 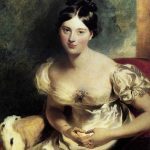 Etiquette, the code of behaviour in society, was a big thing for the Regency woman (and gentleman). 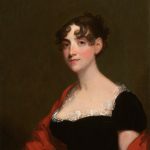 Etiquette books and articles in magazines explained how a lady should conduct herself, certainly from the author’s perspective anyway, and every aspect of a woman’s life was governed by a proper order of how things should be, including her appearance. Good sense must so preside over its application, that its tint on the cheek may always be fainter than what nature’s pallet would have painted. A violently rouged woman is one of the most disgusting objects to the eye. 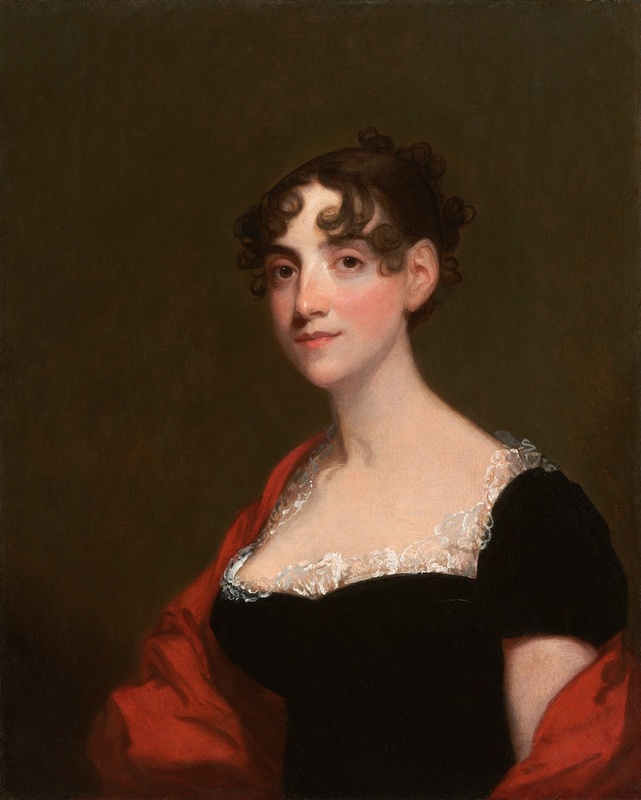 Women would always find ways to use a little rouge with legitimacy and without disapproval from either their husband or society – and feigning illness (both physical and emotional) in order to spruce up their cheeks was one. Following on from the decadent and artificial makeup of the 1700s, natural beauty was now the way to go. 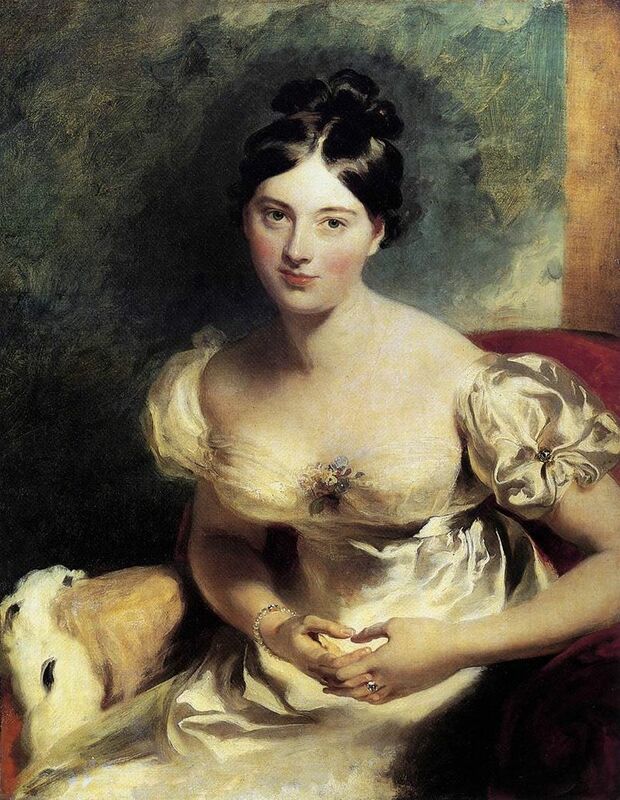 The middle-classes of the Regency wanted their daughters to look respectable, be pleasingly natural, and naturally pleasing. However, at no point was makeup abandoned by women in the western world – it simply appeared that way. The beauty ideal of this era was a smooth, white complexion with a hint of a rosy glow and soft red lips. Society felt that this was not achieved by using makeup, but with personal qualities like temperance, exercise and cleanliness. Of course, cosmetics did achieve some of the “natural” glow. 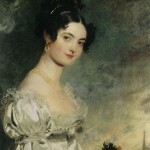 Homemade cosmetics were very popular during the Regency – the market for mass-produced cosmetics was yet to find itself. Recipes were found in magazines, and etiquette and housekeeping books, and ingredients generally consisted of things found in the home or easily purchased from the chemist. It was now known that lead and mercury were harmful substances, and it was advised by many that these ingredients should be avoided in favour of vegetable ingredients. To Ladies in the Country, enclosing the amount, free of postage, it will be immediately forwarded. There was no legislation for the safety of cosmetics at this time, so any ingredients could be used and claims about a product’s effectiveness made. The cosmetics available to women depended on their social standing. Middle- and upper-class women would have the money and time for both homemade and purchased cosmetics – servants and the poor much less so. A lady’s maid would be responsible for making her lady’s lotions and cosmetics. A fine, clear skin, gives an assurance of the inherent residence of three admirable graces to beauty: Wholesomeness, Neatness, and Cheerfulness. A young lady’s skin was her calling card, so much emphasis was placed on the complexion. Anything outside of milky smooth skin was a curse. Freckles, suntan, blemishes or wrinkles were dealt with by a variety of lotions, both homemade and manufactured. Gowland’s Lotion was a famous preparation used for the treatment of various skin concerns, but not the safest option, as the lotion contained mercuric chloride – a corrosive and toxic acid powerful enough to remove the top layer of skin. Tanned skin was associated with the working classes, so a middle- or upper-class woman would try to not go brown or burn in the sun. A tan and freckles were also associated with health issues, like bad bile, so it was not good form all round to have a tan. Makeup for the face came in one basic colour – white. It came in loose powder form (simply a white powder), as a paper disc impregnated with white pigment, or could be purchased from the chemist as solid cakes (white pigments mixed with water, shaped and dried). It could be applied to any part of or the whole of the face and neck, or dabbed onto blemishes to try and conceal them. White powder could be made from a variety of white pigments, from the harmless (e.g. crushed pearl, cornstarch, rice powder, talc) to the harmful (e.g. lead). Until about 1806, young women in portraits can be seen with a more obvious circle of red rouge applied to the apple of the cheek. After this date, cheek makeup was toned down to create a more natural flushed look. Red pigments used in rouge came from powdered substances, like vermilion (from the mineral cinnabar and toxic), carmine (derived from cochineal scale insects), alkanna root (plant), red sandalwood, or saffron. If a softer colour was required, the red powders were mixed with white powders like talc or hair powder. To create a rouge pomade, the red powders were mixed with melted fats or waxes (e.g. cocoa butter, spermaceti, balm of Mecca) and left to set in a pot. 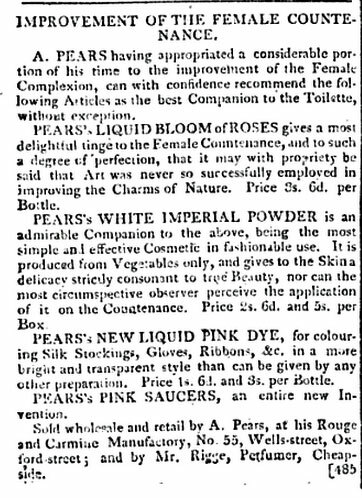 Products available to buy include Pears’ Liquid Blooms of Roses, Withers’s Sicilian Bloom (a powder) and Rigge’s Liquid Bloom. There were also small cakes of rouge available, including woollen pads (Spanish wool) or thin paper discs (Spanish or Chinese papers) that were impregnated with red dye. Rosy red lips were created with the use of lip pomade or salve. These were mainly made at home from the same red powders used on the cheeks, mixed into a fat or wax base (e.g. marrow, cocoa butter, bees wax) to create a moisturising lip salve. Lip pomades could also be purchased from chemists. Lip and cheek colouring always match in portraits. 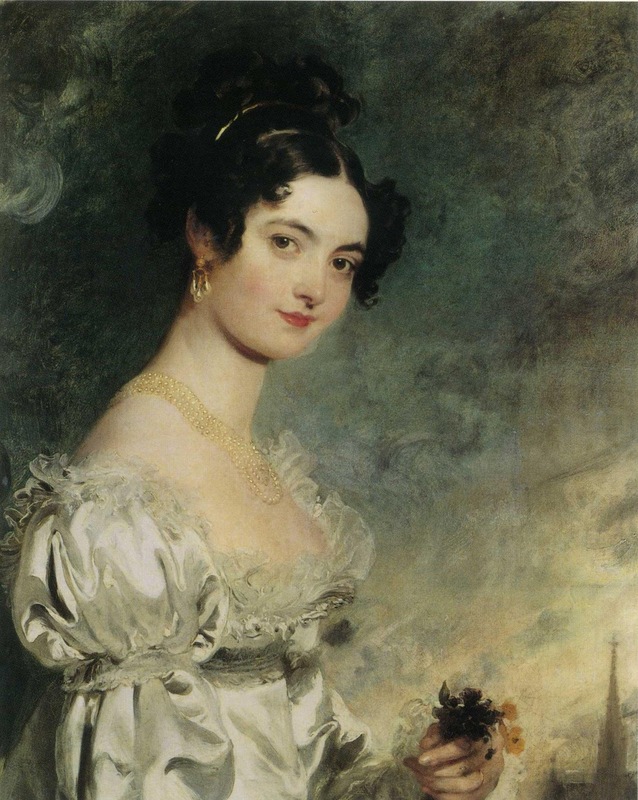 Burnt cork or the sooty residue from a candle flame was used to produce a black colour for use on brows and eye lashes. To prevent the colour coming off easily, it was mixed with something that helped set it, like frankincense, mastix or resin. Elderberries could also be rubbed onto the lashes/brows to darken them. Little paper discs were available (often from China) that were impregnated with a black colour, which was applied with a wet finger tip. As these papers contained gum as part of their preparation, using them could leave a slight sheen on the skin. Brows were either left fairly natural with no really obvious plucking going on, though undesirable hairs could be removed as desired, or subtly shaped. Bright eyes were a desired feature, and this could be encouraged by using eye drops and eye washes. A mere dusting of white powder on the lid aside, any sort of eye makeup would be very frowned upon – eyes were for seeing with and conveying one’s inner beauty and health. Let every woman be content to leave her eyes as she found them, and to make that use of them which was their design. 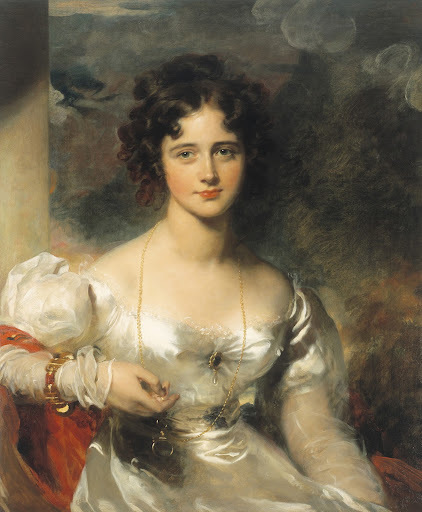 Regency portraits, left to right: Ann Penington by Gilbert Stuart (1805); Hepzibah Clarke Swan by Gilbert Stuart (1808); and Lady Maria Conyngham by Sir Thomas Lawrence (c. 1824-25) showing her teeth – a rare thing to see in portraits. While the approach and attitude to makeup and skincare for younger women was much the same for older women, there could be differences. For some older women, old habits were hard to kick, and they would continue using white and red paints more obviously than the younger generation – a “bare face” seemed more unnatural, having grown up in the makeup-loving part of the Georgian era. When a person is young, and fresh, and handsome, to paint would be perfectly ridiculous; it would be wantonly spoiling the fairest gifts of nature. But, on the contrary, when an antiqued and venerable dowager covers her brown and shrivelled skin with a thick layer of white paint, heightened with a tint of vermilion, we are sincerely thankful to her; for then we can look at her at least without disgust. OK then! 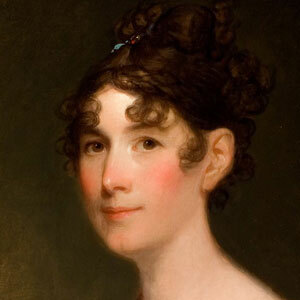 Despite this tone, portraits of older women painted during the Regency generally show them with the same rosy cheeks and red tinted lips of the younger women, or as very plain faced. 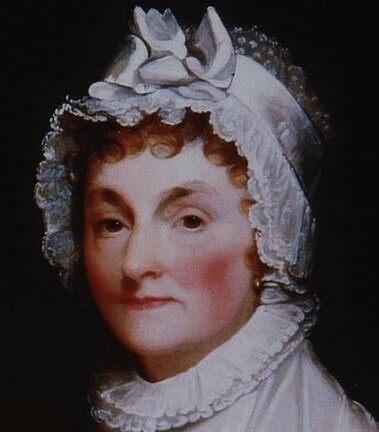 Former first lady Abigail Adams by Gilbert Stuart (c. 1810-15). Approx. 60 years of age. Servants and housemaids didn’t often get to leave the house and worked incredibly long, exhausting hours. Other work undertook by working-class women was often physically demanding. This, combined with not having the money to buy a wealth of beauty products, was taxing on their appearance. Working-class women would find it hard to meet the ideal standards of beauty as defined during this period, and were relegated to the bottom rung of society. Superfluous hairs, also, which frequently grow on the arms, and are so injurious to their appearance, must be removed. Oral hygiene was not a well-advocated practice, but there were dental products available. Toothpicks were commonly used. Made of bone, ivory, quills, wood or various metals, their use was quite fashionable until the Victorian era when they were viewed as uncouth. Toothbrushes were commercially available. Made from natural stiff bristles (like boar) with ivory, bone or wooden handles, they were not necessarily widely used. The poor would not be in possession of a toothbrush, but could clean their teeth using a variety of methods like using a cloth and salt, or simply chew on a stick. The rich also used twigs made from the roots of plants like marshmallow or licorice, keeping a supply in a purpose-made root box. Tooth powder was an abrasive product made from things like ground coral, eggshell, chalk or gypsum, mixed with an astringent like salt, shaved soap or myrrh. To deal with bad breath, breath-freshening tablets (or cachous) were popular and kept in a small cachou box. These little breath sweets were made with fragrant ingredients like musk, cardamom, ambergris, licorice, essence of violet, essence of rose, or oil of cinnamon. From The Art of Beauty: or, the Best Methods of Improving and Preserving the Shape, Carriage and Complexion. 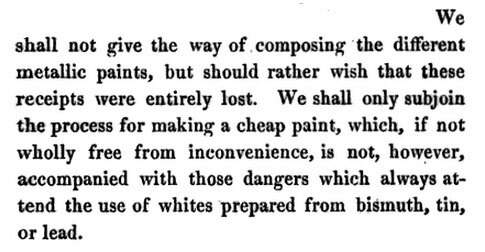 Published in London in 1825.